With the Core i5-661, Intel has released a CPU that can just about do it all: it's a CPU, graphics controller, memory controller and PCI Express controller in one. It performed fast during our tests and its integrated graphics and reasonably cool runnings make it perfect for a media centre. The only downside is that you have to fork over cash for a motherboard as well, but that's standard for any major upgrade. Intel's Core i5-661 CPU represents the next generation of mid-range processors that will power many of the new desktop PCs released this year. It runs at 3.33GHz and has two physical cores with Hyper-Threading, but, most importantly, it's one of Intel's first 32 nanometre (nm) CPUs and one of the first to feature a built-in Intel HD graphics processor. The main differences between the Core i5-661 and the Core i5-750 (the first Core i5 CPU, released last September) are the 32nm manufacturing process for the CPU and the integrated HD graphics. Along with the graphics chip, the Core i5-611 also has a built-in DDR3 memory controller and a PCI Express controller, so it's a little beast of a chip that takes a lot of the responsibility away from the motherboard itself. It also has 4MB of Level 3 cache, extensive power management features that kick in when the CPU is idle, as well as Turbo Boost, which can run the CPU at a faster-than-rated rate. It may be small, but the Intel Core i5-661 packs two CPU cores, a graphics chip, as well as memory and PCI Express controllers. It's the 32nm manufacturing process that has allowed Intel to include so many components and transistors in a single physical chip. You won't be able to just upgrade your current PC by swapping in the latest CPU. For example, if you're the owner of an Intel P55 chipset-based motherboard, the Core i5-661 will run but its graphics chip won't be useable; it requires a new motherboard with one of Intel's latest 5-series chipsets in order for the integrated graphics to work. Similarly, the graphics ports on a motherboard designed for the Core i5-661 (or any of the other Core i5-6XX series CPUs) won't work unless you use an Intel Core i5 6-series CPU with integrated graphics. 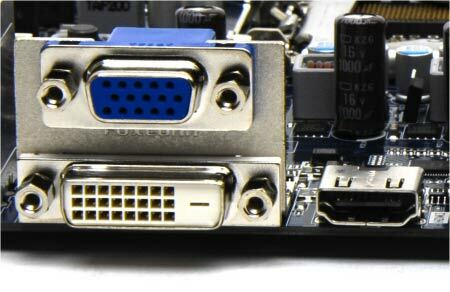 DVI, VGA and HDMI ports on the H55 chipset-based Intel DH55TC motherboard only work with a Core i5 6-series CPU with integrated graphics. 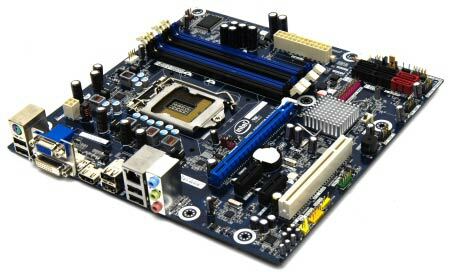 For our tests, we used Intel's Desktop Board DH55TC. 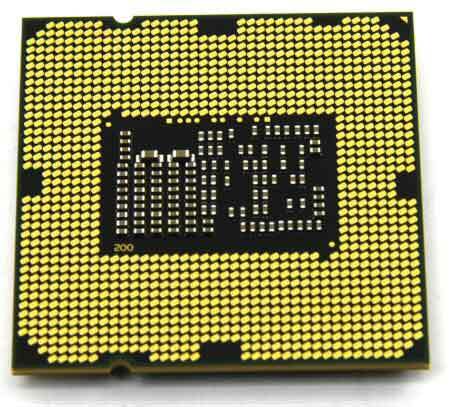 This uses the LGA1156 CPU socket — which is designed for the Core i5-661 — and it has the Intel H55 Express chipset. The H55 chipset is used to control the Serial ATA ports, Gigabit Ethernet port, USB 2.0 ports, digital audio, graphics ports and PCI Express expansion slots. It's the only major chip on the motherboard, but that doesn't mean that vendors can automatically just shrink the size of the circuit board and make smaller PCs — the DH55TC is a micro-ATX board, which is as small as it gets for a mainstream board — but it means that the board itself will produce less heat. The Intel DH55TC motherboard has a microATX form factor and a reasonably standard layout. While systems based on the new CPU can run cooler, they will also run very swiftly. Turbo Boost is a technology that Intel introduced with the first Core i5-750 CPU, and it works by automatically allowing the CPU to run faster depending on the number of cores that are in use. On a dual-core CPU such as the Core i5-661, Turbo Boost can be used to its maximum potential — while the CPU is rated at 3.3GHz, it often runs at 3.6GHz instead. Coupled with 4MB of Level 3 cache and Hyper-Threading, which allows up to four instructions to be processed by the CPU at one time (effectively making it a quad-core CPU), the Core i5-661 can be very fast. In our iTunes MP3 test, where we encode 53min worth of WAV files to 192Kbps MP3s, the CPU only took 45sec, which is approximately 7sec faster than a 2.66GHz Core i5-750 CPU. The Core i5-661 performed better during this test because it's 670MHz faster than the quad-core Core i5-750 and iTunes only uses two cores. However, even in an application that can handle four cores, such as Blender 3D, the Core i5-661 held its own. When running four cores (two real ones and two virtual ones thanks to Hyper-Threading), the Core i5-661 took 42sec to render a 3D image. This is about 6sec slower than the Core i5-750 when using four real CPU cores. It shows that Hyper-Threading can make a significant difference to a dual-core CPU. In our WorldBench 6 application test suite, the Core i5-661's 3.3GHz clock speed was again a major highlight. It managed to record an overall score of 130, which is faster than any Core i5-750 system we've seen. We conducted our tests using the built-in Intel HD graphics, 4GB of A-DATA Plus Series DDR3 1600+ RAM, and an Intel solid-state drive (SSDSA2MH080G1GN). When we added a (relatively) modest graphics card to the mix (an NVIDIA GeForce 9600GT), the score improved to 139. The seven per cent decrease in performance when using the integrated graphics won't be noticeable during everyday usage, and the CPU with its built-in graphics enabled is still fast enough to be used in a media centre PC — it will be capable of decoding high definition TV channels, for example. The lack of a separate graphics card also means that a media centre running this CPU can be cooler and run much more quietly. 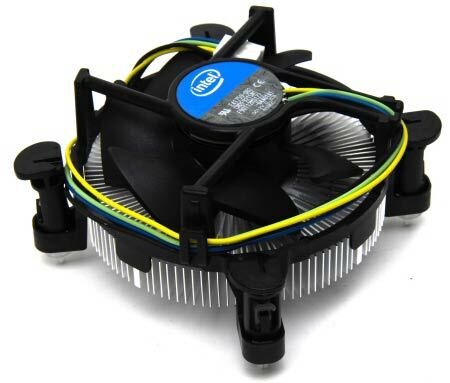 The supplied CPU cooler is small and doesn't make much noise at all. If you're a gamer, the integrated graphics won't be much of a boon to you; you'll still need a separate graphics card to play any games that require serious 3D processing. For example, in 3DMark06 the CPU with integrated graphics enabled achieved a score of 2031. This score is actually not bad at all for an integrated graphics solution, and it may run some old games adequately. However, it doesn't crunch frames fast enough to allow you to play many of the latest 3D titles smoothly. When we added an NVIDIA GeForce 9600GT-based graphics card, the 3DMark06 score improved to 11,574. The best application of the Core i5-661 CPU is in a small PC such as a media centre PC or a silent PC where 3D graphics aren't a huge priority. A smaller-than-usual heat sink and fan assembly ships with the Core i5-661, and it makes barely any noise at all when it's running. You'd be hard-pressed to hear it in a typical room. Pricing for the Core i5-661 starts at around $325 from many online stores, which is actually cheaper than an Intel Core 2 Duo CPU running at 3.3GHz (it can be bought from around $370). Motherboards with the H55 chipset can be found from around $150, so for around $475 you can acquire the basic building blocks for a very potent and versatile new PC.